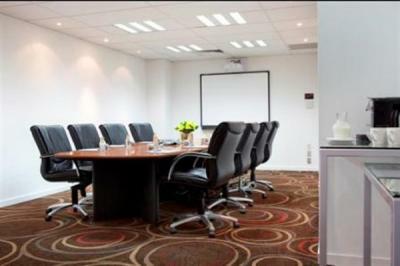 • Seven modern and versatile conference rooms with capacity for 350 delegates theatre style. All rooms feature state of the art audio visual equipment and wifi connectivity, some have natural daylight and vehicle access. Large pre-function area for catering or exhibition. • 199 accommodation rooms and suites, many with fantastic lake and city views. All rooms are air-conditioned, feature wifi connectivity, flat screen television, mini-bar, safe, shower over bathm ironing facilities and tea/coffee facilties. • Guests have full access to the modern fully equipped gym, sauna, indoor heated pool and six geothermal plunge pools. • Stylish bar with indoor fireplace and outdoor courtyard seating. Contemporary restaurant offering buffet and a la carte dining. • Plenty of free on-site car parking for guests and visitors of the hotel. 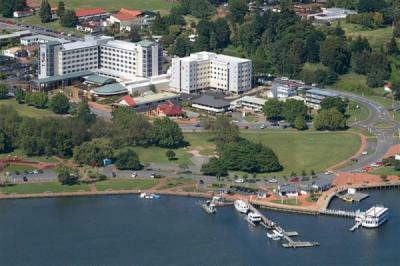 • Centrally located on the Rotorua lake front and village green, within easy walking distance of 'Eat Streat' with many cafes, restaurants and bars, central city and Energy Events Centre.